This volume is one of a series of twenty-four from Time-Life Books that chronicles the history and culture of the Native Americans. The Mighty Chieftains profiles Native American leaders and the reasons why they rose to become prominent among their respective peoples. 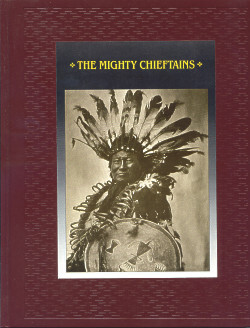 Lavishly illustrated photo essays explain the nature and responsibility of leadership in various Indian societies, the impressions of chiefs on their visits to Washington to meet the president, the astounding military strategy of Chief Joseph, and the wise decisions of Plenty Coups during the early reservation years. Detailed bibliographies and index are included.